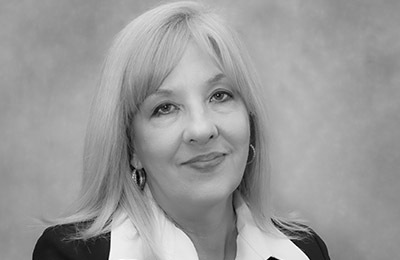 Susan Perry brings over 25 years of experience in product development, disruptive technology, manufacturing, branding and distribution, as the former President of International Business Equipment. During her 20 year tenure, Susan worked extensively in the West Indies, with Banks and Credit Unions, manufacturing hardware and other specialty goods in the Mid-West and China. Susan’s development of cutting-edge technology to better assist persons with special needs, seniors, the visually impaired, and foreign language speakers, began in 2006 when she founded Taylannas Inc., a research and engineering company. Shortly after, she released the company’s first invention, ‘Menus That Talk™’, which allowed customers to read, listen, and order from menus, in the language of their choice, and then have it send the orders to the kitchen staff, which were then printed in English for processing. Several years later, a family tragedy inspired the founding of SpeechMED, a multi-lingual patient engagement platform, when medication instructions were misinterpreted, due to problem with translation, and resulted in the untimely death of a family member. Since this time, Susan has made it her mission to reduce and prevent this type of error, and other potential problems, resulting from miscommunication or lack of basic understanding of medical instructions and medications.